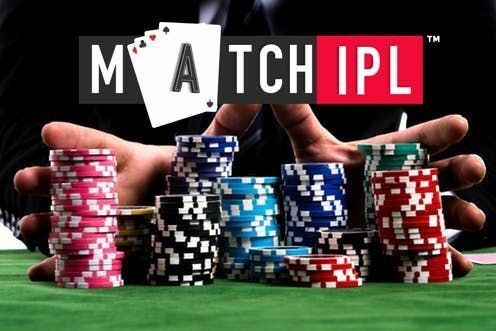 MatchIPL or Match Indian Poker League was launched in 2017 by Viaan Industries Ltd. managed by British industrialist Raj Kundra and Actress Shilpa Shetty, with International Federation of Match Poker president Patrick Nally. Poker, now widely considered a skill-sport, is gaining popularity in the world and India. MatchIPL is soon hosting its third season. MTV has associated with Match IPL for this season. For this third edition of MIPL, the poker league and MTV are hunting for Poker Pros from all over India by conducting online tournaments. These Poker Pros will represent the eight teams in the matches during MatchIPL. The eight teams in Match Indian Poker League are Ahmedabad Hearts, Bangalore Royals, Haryana Hawks, Jaipur Jewels, Kolkata Diamonds, Mumbai All Stars, Pune Kings and UP Indians. MTV Pro Hunt for the said eight representatives for MIPL teams started on 28th September to make poker accessible to all Indian players. MTV ProHunt tournaments are hosted on Poker Raj, the online poker platform launched by Mr. Raj Kundra. Poker Raj tournaments can also be played on the platform’s App. The tournaments are free to play. The players need to be 21 years or above in age to be eligible to participate in the MTV ProHunt online tournaments. The games are in Texas Hold'em format. Players can select Individual team’s tournaments, to win to represent that team in MatchIPL. Tournaments for the selection of the representatives of Ahmedabad Hearts, Bangalore Royals, Haryana Hawks, Jaipur Jewels, Kolkata Diamonds, and Mumbai All-Stars have concluded. The tournaments for Pune Kings and UP Indians will be held on 13th and 14th October '18. The winners represent their respective teams at Match Indian Poker League being held on 23rd and 24th October, in Mumbai. The coveted poker event is expected to start with a grand party. It will be a glamorous event with Bollywood and poker stars. Many are looking forward to its after party which will be attended by famous Bollywood and Poker celebrities.